Photo: Monticello, ca. 1772, Charlottesville, VA. Plantation home of Thomas Jefferson. Listed on the National Register of Historic Places in 1966; designated a National Historic Landmark in 1960. Photographed by User:Martin Falbisoner (own work), 2013, [cc-by-3.0 (creativecommons.org/licenses/by/3.0)], via Wikimedia Commons, accessed August, 2013. 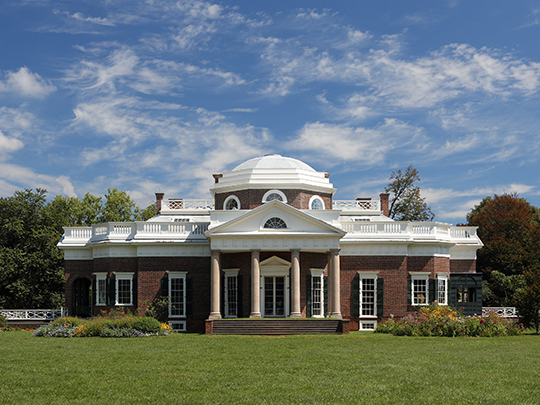 Charlottesville, the seat of Albemarle County, is governed as an independent city. See: City of Charlottesville.